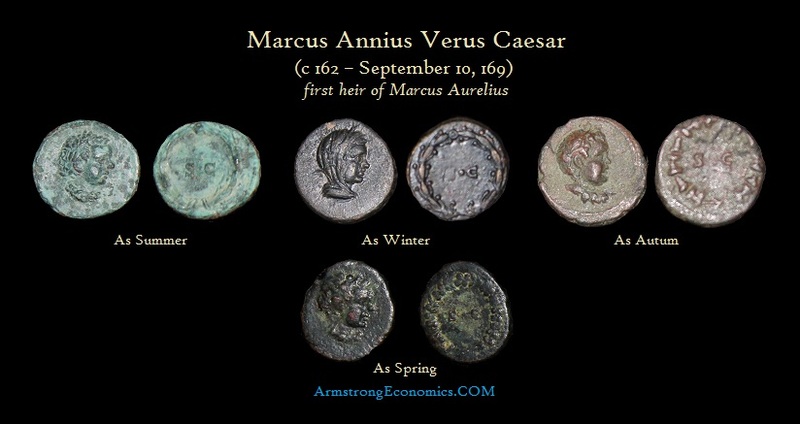 Marcus Annius Verus Caesar (c 162 – September 10th, 169AD) was the first son born of thirteen children with his wife Faustina. In 166, he was made his father’s first heir and named Caesar at the age of five. 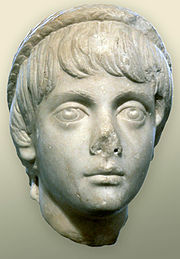 On September 10th, 169AD, he died of natural causes in Rome. His death resulted in his brother Commodus becoming his father’s heir and later successor. There were no coins issued during his lifetime. Following his death, he was commemorated on bronze quadrans. There appear to be four types representing the four seasons.